Since early 2014, Singapore has been driving an initiative to be a leader in emerging tech and establish itself as a Smart Nation. To make its ambitious vision a reality, the government has done everything, from infusing investments to framing policies to support it. Early in 2018, Singapore launched a Digital Government Blueprint to support its Smart Nation vision and serves as one of the key pillars of the Government’s public service transformation efforts. It has also invested heavily in physical infrastructure and connectivity. But is Singapore ready for the changes that come with it — the overwhelming inflow of data, availability of skilled candidates, need for reskilling and more? As the country is inching towards a digital and smart nation, technologies such as AI, deep learning and machine learning can prove to be revolutionary. AI and data science can play a crucial role in restructuring the economy and the country is aggressively working towards it. 1| SkillsFuture Initiative: This initiative is aimed at helping the companies reskill and redeploy its at-risk workers into new roles. This national movement allows Singaporeans to develop skills to their fullest potential throughout life, regardless of their starting points. It can serve individuals in all walks of their life such as schooling, early career, mid-career or later years to equip themselves with required skills. As a part of this program, individuals can equip themselves in AI or other intelligent technologies. It aims at the strategic developments of employees with the required future-tech skills. 2| AI Program By National Research Foundation: One of the older initiatives of the country, NRF launched AI Program, which aims to bring relevant research institutions, AI startups and GovTech’s plans to set up a CoE in AI and data science to help other agencies deploy AI technologies. It catalyses, synergies and boosts Singapore’s AI capabilities to power digital economy. This is a collaboration between NRF, Smart Nation and Digital Government Office, Economic Development Board, SGInnovate, Integrated Health Information Systems and Infocomm Media Development Authority. The main objective of this program is to use AI to address major challenges that affect society, invest in deep capabilities, broaden adoption and use of AI and machine learning within industries. 3| AI Governance Framework: In January this year, the minister of Communications and Information released a Model AI Governance Framework that outlined key ethical principles and practices in AI deployment. It will help in framing the discussions around harnessing AI in a responsible way. Through the Model Framework, they aim to promote AI adoption while building consumer confidence and trust in providing their personal data for AI. Singapore has become the first Asian nation to develop an artificial intelligence framework that will not only allow inflow of investments in AI but building AI capabilities that will enable them to stay competitive on a global scale. It will allow companies to be able to explain to customers the decisions made by or in assistance of AI and ensure that their AI solutions are human-centric. 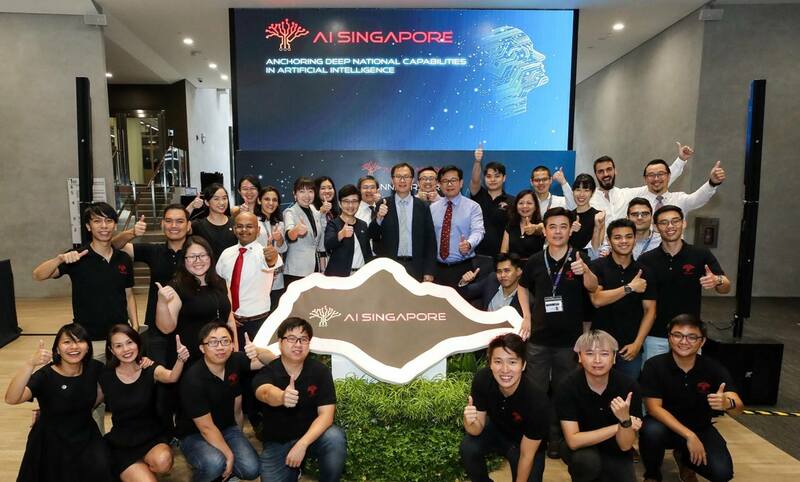 4| Inter-Agency Taskforce: In a recent announcement made in early March by the Foreign Minister, the Singapore Government will set up an inter-agency task force dedicated to AI. The interagency task force will asses how the country should develop artificial intelligence as a strategic capability and be a global testbed for the deployment of AI applications. It aims at using AI to provide better services for citizens. 5| 100 Experiments: The flagship programme by AI Singapore, it aims at solving challenges around AI adoption and solve the industries’ artificial intelligence problem statement and help companies build their own AI team. As a part of this initiative, organisations can propose 100E problem statements for which if there are no AI solutions that exist, it can be brought up to be solved by AI researchers and engineering team within 9 to 18 months. Premier research institutions and universities in Singapore work on organisation’s problem statement. 6| Driving Smart Nation Through AI Education: Singapore government is ambitious about strengthening its AI play and taking initiatives to introduce it in the education system may be one of the best ways. Under the country’s TechSkills Accelerator programme, it announced two initiatives to help build technical skills of students. The first programme, called AI for Everyone, aims to immerse anyone who is interested in AI in the latest AI technologies and applications. It is a free programme for the public to let them understand the potential of AI technologies. Another initiative called AI for Industry is aimed at educating industry professionals who are more technologically inclined. This programme will offer skill development in areas such as Python and is reportedly aiming to train 2000 specialists in basic AI competency. There is no doubt that the Singapore government has identified AI as one of the four core technologies that need to be strengthened to push its digital-ready image. With the various initiatives that it has taken along with its focus on democratising AI tells us about the efforts that Singapore is ready to take to scale up AI development. Not just making them digital-ready, AI might also help them fight some of its economic challenges such as slowing growth, falling capital investments, soft workforce growth and decelerated productivity. While Singapore has succeeded at many levels to be a Smart Nation, it cannot be independent of the development in AI. To make the country digitally fit, it is important to endorse computational thinking and data literacy so that they are more equipped in areas such as data science and AI. This focus on AI is definitely going to drive growth and having witnessed Singapore’s ambition in establishing itself as Smart Nation, it wouldn’t be surprising to see Singapore becoming an AI leader too.